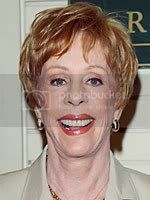 Wild child Lindsay Lohan may not be your first choice when you think star power, but show biz veteran Carol Burnett thinks otherwise. The Defamer catches Lindsay in yet another wardrobe malfunction. When asked who she thinks is the most talented actress in the new generation, Carol quickly named Lindsay. Future Oscar-winner or rehab regular? Discuss with us.